Photopus is an easy to use batch photo editor software to convert, resize, transform, touch-up, rename, and apply effects to your digital images. Instead of spending hours to edit your digital images individually, Photopus lets you perform batch image processing in a single operation. 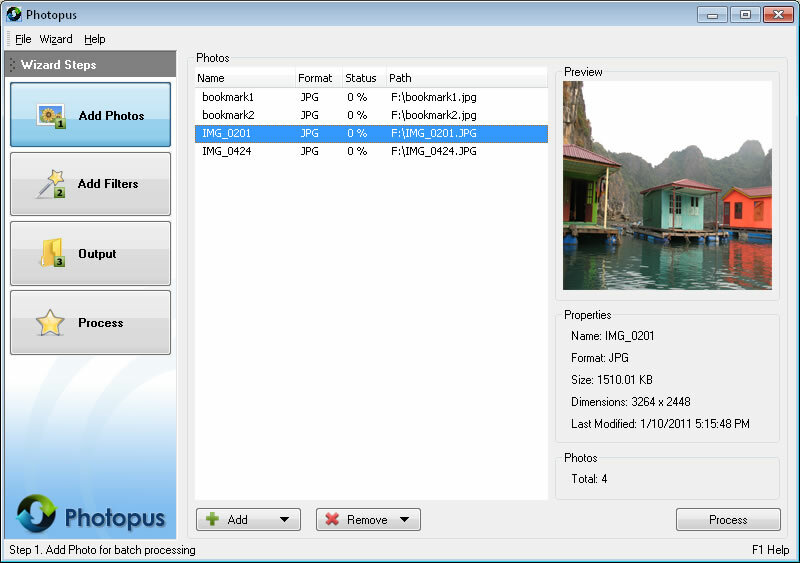 With Photopus, you can batch resize images automatically with ready preset for most common output sizes; Rotate images; Flip; Rename images; Crop images; Convert image to other image formats (including multi-page PDF, TIFF); Adjust DPI; Apply special effects like black and white, sepia, blur, emboss, red eye correction, twirl, grayscale, add border and more; Touch-up images by adjusting brightness, contrast, sharpen, smooth, color balance and etc.